100% Pure Mt. Lion Urine creates the realistic impression that Mt. Lions are in the immediate area. For Wild Pigs, Armadillos, Javelinas, and other mammals native to the south and west, this spells trouble. These prey react instinctively to the perceived presence of this fierce predator. From Hawaii all the way to Florida, we get calls and emails from people saying "help us get rid of wild hogs, feral pigs and javelina. When you see the damage that these wild pigs can cause, it is no wonder! 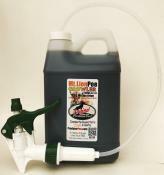 Cougar urine is an all natural wild hog repellent, safe to use around pets and has no chemicals. It is an extremely effective territorial deception scent that creates the illusion that the wild pigs most dangerous predator is ready to strike. These pigs may be big and ugly but they are not dumb! They know that the scent of mountain lion predator urine repellent means trouble and they are gone! Browse mountain lion urine for sale below. 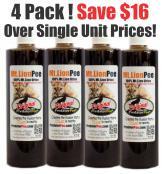 BUDGET SAVER 4 PK Mountain Lion Urine - Save $16! Just in time for the Spring season - Save $16 over single bottle prices when you buy this 4-pack of Mountain Lion Urine 12 ounce bottles. Free Priority Mail Shipping, too! 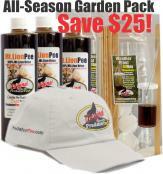 Mountain Lion All Season Weather-proof Dispenser Garden Pack- Save $25! Mountain Lion All Season Weather-proof Dispenser Garden Pack – Protect your garden for up to 5 months against javelina, wild pigs, and feral hogs with our Mountain Lion Urine All Season Garden Pack. It contains 3 – 12oz bottles of Mountain Lion Pee and 2 ten packs of 33Day Weather-proof Dispensers that disperse the scent and protect it from wind, rain and water and a Free PredatorPee® Hat! Total Retail Value: $137 – Your Cost: $112! 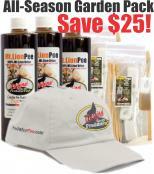 Mountain Lion Pee All Season Scent Tag Garden Pack - Save $25! Mountain Lion Pee All Season Scent Tag Garden Pack – Protect your garden for up to 5 months against javelina, wild pigs, and feral hogs with our Mountain Lion Urine All Season Garden Pack. 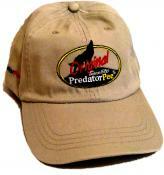 It contains 3 – 12oz bottles of Mountain Lion Pee and 2 ten packs of Scent Tags and a Free PredatorPee® Hat! Total Retail Value: $123 – Your Cost: $98!